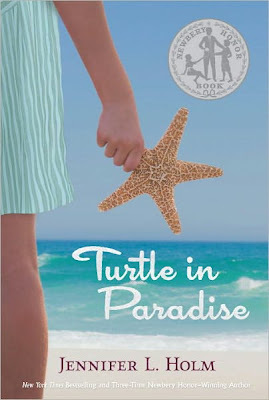 For the latest installment of my Winner Interview Series I talked to mutli-award-winning and prolific author of novels and graphic novels Jennifer L. Holm who received the 2011 Golden Kite Award for fiction from SCBWI for TURTLE IN PARADISE. Jenni is not new to winning awards. She received a Newbery Honor in 2000 for her debut novel OUR ONLY MAY AMELIA and had since been awarded two more (in 2007 for PENNY FROM HEAVEN, and another earlier this year for TURTLE). Here she discusses her book, talks about winning awards, and tells us about her upcoming projects (including a certain sequel this blogger cannot wait to read!). 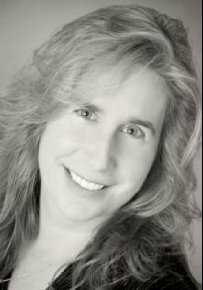 You can see Jennifer L. Holm in person at the 40th Annual SCBWI Summer Conference where she'll accept her award at the annual Golden Kite Luncheon. 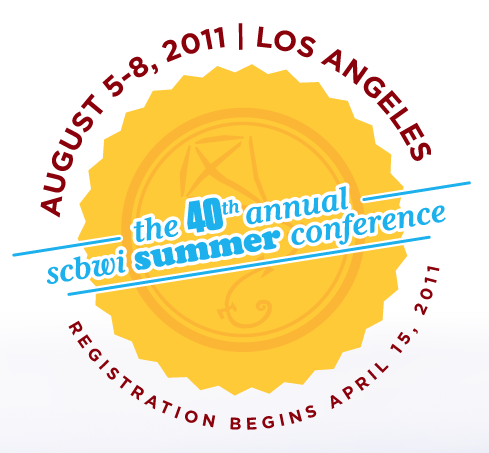 Registration opens soon—watch SCBWI.org for conference news! Please tell my readers a little about your award-winning book TURTLE IN PARADISE and what inspired it. TURTLE IN PARADISE was inspired by a story my mom liked to tell about her childhood. Her grandmother, aka “Nana”, was from Key West, Florida. Nana was a “Conch”, what the folks who emigrated from the Bahamas and settled in Key West folks called themselves. During the summers, Nana would take my mom to Key West to visit relatives. My mom didn’t really like going to Key West. It was hot (people didn’t have air conditioners like they do now) and strange (she was given avocado on Cuban bread for breakfast instead of pancakes.) And then there was the wacky warning that she should “shake out her shoes” every morning. My mom thought this was an oddball superstition until one morning when she shook her shoes and out popped … a scorpion! When my editor, Shana Corey, started asking me about my Key West family, I just knew that there was a story in there somewhere. both a Newbery Honor and a Golden Kite for fiction. Your character Turtle is a girl who learns to come out of her shell. Did you ever feel like you had to come out of your shell as a writer? If so, what inspired you to do so? I was a big reader and always wanted to write, but I was intimidated. I had to get over the fear and just put fingers to keyboard and go for it. By the way, notice I didn’t say “pen to paper?" I love my laptop. TURTLE is set in Florida in the 1930s. What appeals to you about writing historical fiction? I love how a time and a place can become a character all its own. But it’s also something I constantly struggle with—it's a fine balance to not let the historical details overwhelm the story. You've got an ever-growing body of work whose audiences spans from elementary school age readers through tweens with varying projects from graphic novels to historical fiction. Is there a trick to juggling them? To juggling a writing life and a family life? If there’s a trick, I'd love to know what it is because I am plagued by guilt that I’m not paying enough attention to my kids—the two-legged ones and the literary ones. Please tell us what upcoming projects we can look forward to seeing from you. The sequel to my first novel, OUR ONLY MAY AMELIA, will be out in April. It is called THE TROUBLE WITH MAY AMELIA. Today, a federal judge in Manhattan rejected the Google settlement with authors and publishers that would allow it to make millions of books available online, saying it would give the Internet giant the ability to "exploit" books without the permission of copyright owners. Essentially, the judge felt that the settlement as it currently exists went too far in allowing Google the ability to make books available online without copyright owners' permission. He felt that the deal would "give Google a significant advantage over competitors, rewarding it for engaging in wholesale copying of copyrighted works without permission." He also said that, "many of the concerns raised in the objections would be ameliorated if the [settlement] were converted from an opt-out to an opt-in settlement." The judge granted the ruling without prejudice, which means that the parties can go back to the bargaining table and renegotiate. Crystal Kite Awards: Round 2 Voting Is Underway! Cast Your Vote! If you have a few moments between the corned beef and cabbage and green beer, click over to SCBWI.org and and cast your vote for the 2011 Crystal Kite Member Choice Awards. Simply log in to SCBWI.org with your email address and password, then click through to your regional homepage, and click on the Crystal Kite tab to vote for the title you like best. Winners will be announced on April 30th in an SCBWI press release with awards formally handed out at regional conferences. Winners receive a personally engraved crystal kite, a specially designed Crystal Kite sticker for their books, and a chance to present at regional conferences. Plus one Crystal Kite winner will be chosen by SCBWI HQ to deliver a speech at the Annual Summer Conference in Los Angeles. When I was about nine years old, quite possibly the most traumatic event of my childhood occurred. One afternoon while I was inside reading a book, my arch nemesis Megan who lived up the street (and who is now a very nice grown up) recruited my little brother as an accomplice and they ravaged my beloved collection of Barbies who were minding their own business on the back porch. They cut off the hair, hands and feet of the dolls. They drew on their faces and bodies with ink. And they destroyed the extensive wardrobe, shredding everything from gorgeous gowns to groovy gogo boots. I was devastated. Wrecked. I cried for days. I'm actually getting choked up as I write this. And there's a small floral-print suitcase under a bed in my house filled with the remnants of the Barbie Incident of 1977--I never could bring myself to throw them away. First, tell my readers about your book, THE GOOD, THE BAD, AND THE BARBIE. What let you to write about the iconic doll? The book covers two main areas of interest to me: the first few chapters tell the story of how Ruth Handler and her husband started the Mattel toy company, and how Ruth came to invent Barbie. 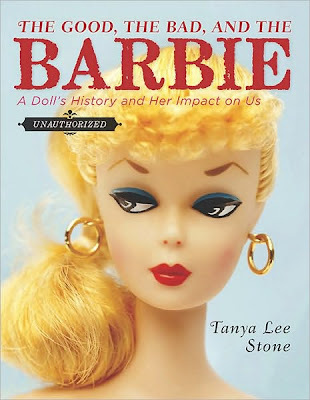 The rest of the book explores different themes concerning Barbie such as racial diversity, body image, how people play with the doll, and the controversy that surrounds Barbie. You've written more than 90 books for young reader including YA novels, picture books and nonfiction. What does winning the Golden Kite Award in the Nonfiction category mean to you? The Golden Kite is an enormous honor. It is a fantastic feeling to know that my peers chose this book as the winner. I treasure my colleagues in this wonderful field of ours, and I couldn't be happier! Research is key to nonfiction writing. Can you tell us a little about your research process? What tips would you offer to other writers regarding research? Oh, we could talk for hours on this topic! My research process includes all the usual suspects--I read everything I can get my hands on--biography, autobiography, newspaper and magazine articles, scientific studies. I also seek out any audio or visual archival information, documentaries, etc. And for this book I put out the word that I was looking for people to go on record about their Barbie experiences. You got input from a number of people about the impact Barbie has had on them. Can you share a favorite story or two? It wasn't that a received any one particular story that I found so interesting. What fascinated me was that of the many hundreds of emails I did receive, they were fairly well split down the middle between positive and negative. I did not get more love than hate, and this was true within age groups as well. Just as many teenage girls told me Barbie made them feel badly about themselves as did girls who said it never occurred to them that they should look like Barbie--that she was just a doll. Your book reveals the evolution of Barbie since she was introduced in 1959. How have you evolved as a writer? I think I have changed quite a bit over the years. I started as an editor of nonfiction books for kids, then began writing the same kinds of books I had been editing, which was mainly fairly straightforward library market books that took a linear approach to a topic--the life cycle of a butterfly or the chronological treatment of a person's life. But then I started looking at nonfiction through a different lens and asking myself different kinds of questions. What point of view did I want to consider? What part of a story most spoke to me? I started to think about nonfiction with the same kinds of techniques fiction writers use, focusing on character and plot--the only difference being the characters and plots are true. It was very freeing. Can you tell us about any upcoming projects? What are you working on and what will we see next on the shelves? I have two picture books that will be forthcoming--one about Elizabeth Blackwell and the other about Jane Addams (both published by Henry Holt). And the next long-form nonfiction book I am doing is called COURAGE HAD NO COLOR (Candlewick), which is about the first African-American paratroopers in World War II. Like ALMOST ASTRONAUTS, this is a little known story about people who broke down barriers and paved the way for others who came after them. In a recent post, I announced the winners of SCBWI's 2011 Golden Kite and Sid Fleischman Humor Awards. These award recipients will be present at the 2011 Annual Summer Conference (the 40th Annual!) to be honored and offer acceptance speeches, but the SCBWI HQ didn't want you to have to wait that long to hear from these outstanding authors and illustrators. So in the coming weeks, I'll be offering interviews with our winners...starting today! 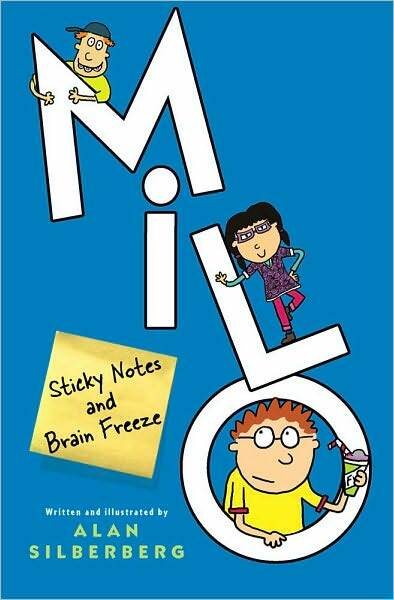 To kick off my Winner Interview Series, I talked with Sid Fleischman Humor Award winner Alan Silberberg, author of MILO: STICKY NOTES AND BRAIN FREEZE. Alan is in good company (as you'll see below), and we're thrilled to have him among the talented and funny winners of the Fleischman, the only award espeically for authors of humorous books for young readers, started by, and now decidated, to the late, great author for which it's named. "I really want to express my gratitude for receiving this honor," says Alan Silberbeg. "You know, a lot of the editing and much of the initial cartooning for this book was done while I was the Thurber House Children's Author in Residence and there's something really wonderful about getting an award for humor that connects back to James Thurber and that amazing experience. Thank you SCBWI. Let's all go out for iced coffees!" 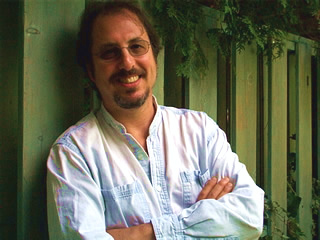 Below Alan tells us about his award-winning book, reveals why he writes for tweens, discusses the importance of humor, and offers a few tips on being funnier. Tell my readers about your Sid Fleischman Humor Award winning book MILO: STICKY NOTES AND BRAIN FREEZE. What led you to write for a tween audience? My book is the funny and heartfelt story of Milo, a quirky kid with a unique look at his life, who is starting yet another school and navigating the brave new world of junior high. He has to deal with everything that goes along with that: the prettiest girl he's ever seen; the new best friend who's even goofier than he is; the annoying girl next door, who isn't so annoying after all. But as Milo makes his way through this new year, he is also aware of the fog he has to push through every day. He is slowly realizing that he hasn't really been okay since his mother died, and the book tells the gradual story of how Milo figures out how to fully grieve and say the goodbye he never got to say. It's a book about remembering and honoring a lost loved one through the eyes of a funny kid, who worries too much. I think I've always been on the path to writing for tweens. For one thing it's such a great age, when everything is changing and the world just stretches so far ahead of you. It's also an age I can still relate to for some reason. Maybe I'm perpetually stuck at 14, which would explain why my bedroom looks the way it does. Winning the humor award named for Sid Fleischman has put me in a state of awe. Also, to have your work selected by peers and stamped with a big, bold, "HA-HA" is still a stunning feeling for me. On a deeper level, because the book is such a personal story and because it deals with the all too real issue of coming to terms with the loss of a parent--it is so gratifying to be recognized for the humor of MILO. The award really reinforces my initial goal to write a funny book that captures the pain of adolescent grief. All along that's what Liesa Abrams (my wonderful editor at Aladdin) had been saying to me. That this story is funny and real and needs to be told. A funny speech, huh? I'm already worrying about that! But if nothing else--I can always read from my teenage journals. There's definitely some laughs there! Humor seems to come naturally to you. Is comedy something you’ve always dabbled in? It's fair to say that I have always had a decent sense of humor. But I am not now, nor have I ever been a good joke teller. I was always the kid who stood to the side of the group and waited for the moment to drop in a perfect one-liner that made the other kids laugh. I think that side of myself really came out after my mom died and I could use it as a defensive technique to avoid getting too close to people. But I always liked being funny. In high school I remember a talent show where this other kid and I were the running gag throughout the night. I got a taste for hearing audience laughter. In college two friends and I formed a comedy group called "Mashed Potatoes" and we did live performances and a radio show. That was when I started realizing how much I liked to write funny stuff and once that switch got turned on, there was no going back. Why is humor important in books for young readers? Can writers learn to be funnier? Any tips? In my opinion, humor is important EVERYWHERE, but especially in the books kids read. Funny books have such a special place in the evolving reading lives of kids as they grow up. CAPTAIN UNDERPANTS captivated my son when he was 6 and showed him that he could read on his own and laugh at the absurdity on the page. As a parent, it was powerful to watch that happen. When a book has something serious to say I do think that humor can sometimes be the package that the message gets wrapped inside. And I'm all for that. Not that all books need messages or that all message books need humor. I just think kids need to laugh as much as humanly possible. Hmmm...Can writers learn to be funnier? That's a tough question because I do believe funny is something you either have or you don't. I mean, look at certain political people: not funny. But let's assume that a writer already has a good sense of humor and can write a funny scene or bits of funny dialogue. I would give the same advice I give to kids in schools--read as much funny stuff as you can and pay attention to what a writer does that makes you laugh. To me, shorter is funnier than longer. Dialogue isn't always funnier than action. And if all else fails, add a kid in a gorilla suit. You said you’ve heard from past Fleischman Award winners Lisa Yee, Allen Zadoff and Donna Gephart. Give us the scoop—is there a secret club for funny, award-winning children’s authors that you’ve suddenly gained membership to? And what are the meetings like? I did hear from some of the past winners and that was really nice. Of course, it also made me shudder to realize that I am now in such esteemed company. I mean have you read their stuff? They're really funny! I haven't yet been told what the secret club handshake is but have heard that there might be an initiation test involving hot coals, elf shoes and a rubber chicken. What are you working on now? Do you have any upcoming project you can tell us about? I am just finishing the first draft (yay!) of my next book which is also a middle grade novel that will be illustrated with my cartoons. It's a funny, crazy story about two best friends who get more than they bargained for when they send away for an online cartooning kit. 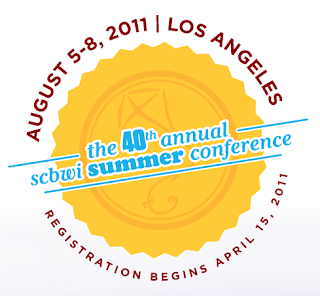 August 5-8...Grab a highlighter and circle the days or pull up your Google calendar and make a note--SCBWI plans to celebrate its 40th anniversary with a bang with a spectacular summer conference. Keynote speakers include such greats as Mary Pope Osborne, Laurie Halse Anderson, John Green, Donna Jo Napoli, Jerry Pinkney, Jon Sciezka, David Small, Gary Paulson, Norton Juster and Bruce Coville. Panels of more than 20 top editors, art directors and agents will present the current and future state of the industry, as well as special sessions on electronic publishing. This year’s conference will also feature specialized tracks for nonfiction writers, illustrators, and published professionals (all specialized tracks are available at no additional charge). This year, the conference format will be slightly different than in the past. The main sessions--made up of keynote speakers, breakout sessions, and optional manuscript and portfolio critiques--will take place over three days, August 5-7. The final day of the conference, August 8, is an optional intensive day for a limited number of authors and illustrators. 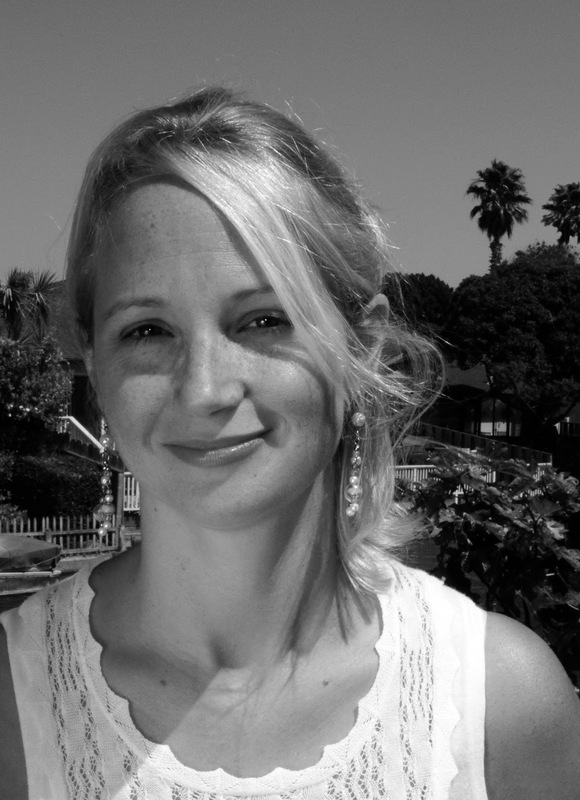 The Writer Intensive will feature three-hour, hands-on workshops on various topics, in addition to a round-table critique of your work led by an editor or agent. The Illustrator Intensive will feature up-close craft demonstrations by seven leading illustrators. Intensives have limited space and will fill up quickly, so plan to be by your computer on April 15th when registration opens to ensure you get a spot--better mark your calender again. As always, SCBWI TEAM BLOG will offer live coverage of the event as it happens as well as pre-conference interviews with the amazing faculty so watch this space (and the spaces of the other TEAM BLOG blogs) and prepare to be enticed.